Since we spend so much time around here talking about tiaras, I get a lot of questions about the nitty gritty details: who wears them? When do you wear them? How do you wear them? What are the rules? So our next few installments of Royal Splendor 101 attempt to provide answers to said questions. First up: answering the who and the when. When somebody asks me what the rules are in terms of who can wear tiaras, and when they can be worn, honestly my first instinct is usually to say: don't bother trying to figure it out. These are matters of etiquette and dress code, which means there are many different opinions and absolutely no hard and fast rules to make you (or the royals) stick to any one way of doing things. Seriously, there's nothing but a second mortgage and a whole lot of strange looks stopping you from buying a tiara at the next Sotheby's auction and wearing it to the grocery store. So it's almost not worth trying to figure it out, but I'll tell you what I've observed and then you can disagree with me later. Who can wear tiaras? In the days of yore, tiaras were for noble and royal ladies (marks of rank, sure, but you also have to consider that they were at one point the only groups of people that could afford jewels). They were also usually reserved for married ladies. Younger women didn't need the extra ornamentation, I suppose, and they probably didn't have any to wear in the first place; tiaras were commonly given as wedding gifts. Nowadays? Well, as society on the whole has gotten a lot more casual, so have the rules. I am far from an etiquette expert, but there just doesn't seem to be universally followed rules for tiara-wearing anymore. I would say the first rule to die was the royalty and nobility one. Royalty are the ones that have the most public tiara occasions to attend, but tiaras are auctioned off regularly; someone's buying them, and it usually isn't royalty or nobility (both groups are more likely to be the ones selling the gems, sadly). And though people still tend to repeat it, I personally don't put much stock in the marriage rule these days. Obviously it doesn’t apply to unmarried royal princesses, as they wear tiaras all the time and have for a long time. (Eighteen is an average age to start wearing tiaras, though each family decides for itself.) We don't usually see royal girlfriends or fiancées in tiaras, but it happens: Máxima wore tiaras during her engagement, and Prince Gustav of Sayn-Wittgenstein-Berleberg's long-term girlfriend Carina Axelsson often wears them. As for non-royal unmarried ladies...well, how many tiara events do you think they have on their social agenda in the first place? If you want to boil it down to a rule for today's etiquette averse world, I'd say it's this: if you've got 'em, flaunt 'em. When are tiaras worn? A century ago, the answer to this would be: all the time! 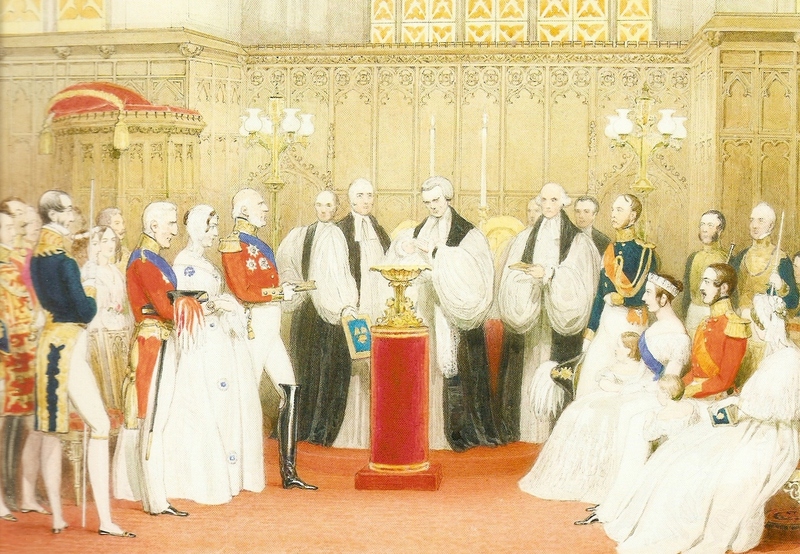 King George V and Queen Mary dined in full white tie with orders and tiaras most nights. White tie also used to be a common dress code for gala performances at the opera or the ballet...sigh. I think I was born about 80 years too late (and also in the wrong country and in the wrong class, but you get my drift). Time of day. The first guideline is the time of the event. Tiaras are for evening affairs. Afternoon might be close enough; this was the case at Crown Princess Victoria's wedding (held at 3:30 pm), where the events continued on well into the night. This is a prime reason why we see the ladies in hats and not tiaras at Prinsjesdag, which is a day event. State occasions. The more formal and important an event, the more likely you are to see tiaras. That said, nothing stops a person from organizing a private event with tiaras included, such as Elton John's annual White Tie and Tiara Ball (hence Elizabeth Hurley's tiara above). White tie. When the dress code is white tie and/or dress military uniforms for the gentlemen, the corresponding code for the ladies will usually be evening gowns with orders and tiaras (if you have them, that is). White tie isn't always a guarantee that tiaras will be involved; at Princess Nathalie's wedding, gentlemen were in white tie with orders, but the ladies were unadorned. Protocol for royal events is usually well hashed out in advance, but that doesn't mean there isn't the occasional bit of confusion. On a state visit to the United Kingdom in 2001, Queen Rania wore a tiara to the black tie return banquet, while Queen Elizabeth went without. Grand Duchess Maria Teresa did the same thing while on a state visit to Sweden, and then seems to have removed her tiara when the Swedish royal ladies showed up with no head ornamentation. Awkward. Do you see what I mean when I say it's almost not worth attempting to figure "rules" out? Any time you think you have it down, there's an example to contradict you. No doubt some of you have examples to contradict the things I've said here. Personally, my policy is never to worry about it when it means we get more tiaras, and only to complain when it means we get fewer tiaras. Right?